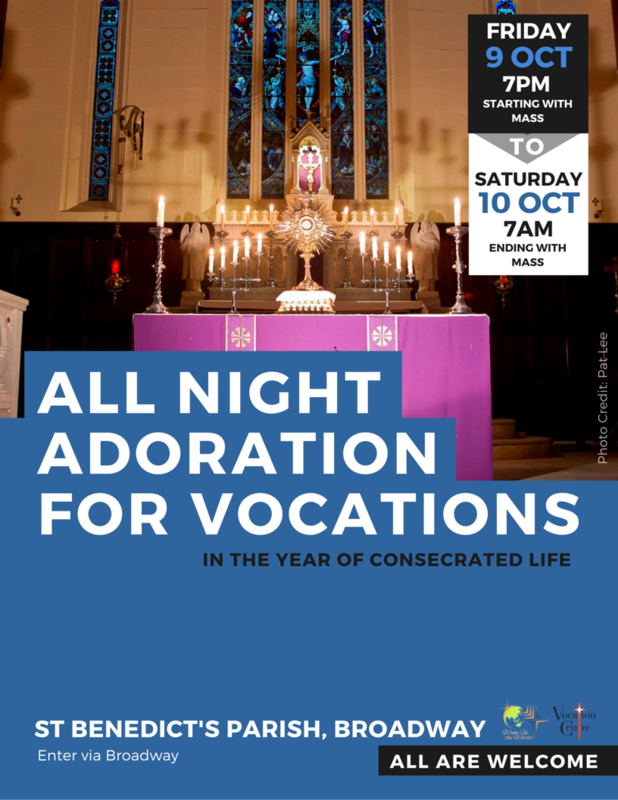 Join us for Adoration of Our Lord in the Blessed Sacrament to pray for vocations, especially in this Year of Consecrated Life declared by Pope Francis. The evening begins with Mass at 7pm with Adoration all night until Saturday morning at 7am, when we will celebrate Mass again. We encourage you to come at any hour – all are welcome. More information will be released in the coming week.